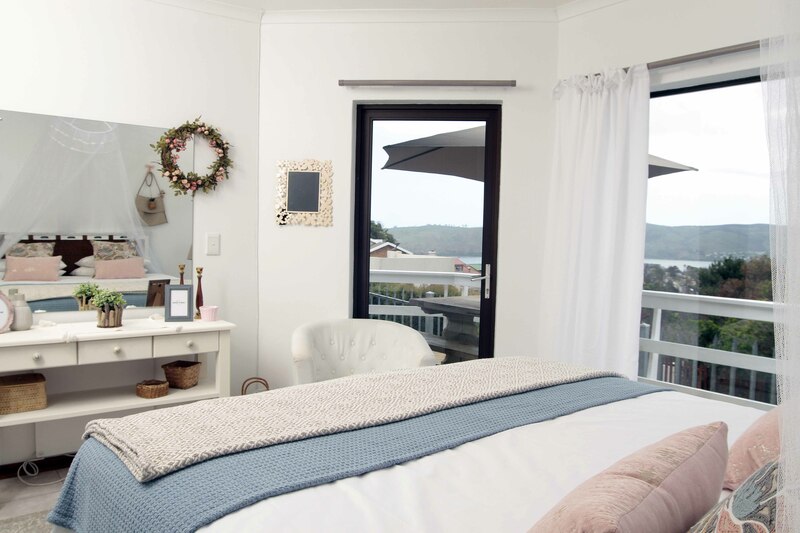 This light sunny 2 bedroom house/cottage is situated at the top of Knysna Heights with beautiful views over the West side of the Knysna Lagoon & mountains. 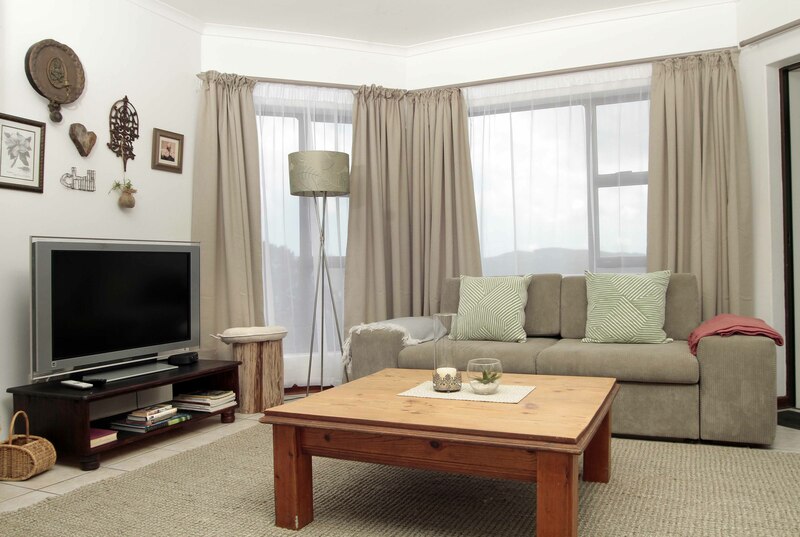 The home is fully equipped and tastefully decorated with brand new furnishings. 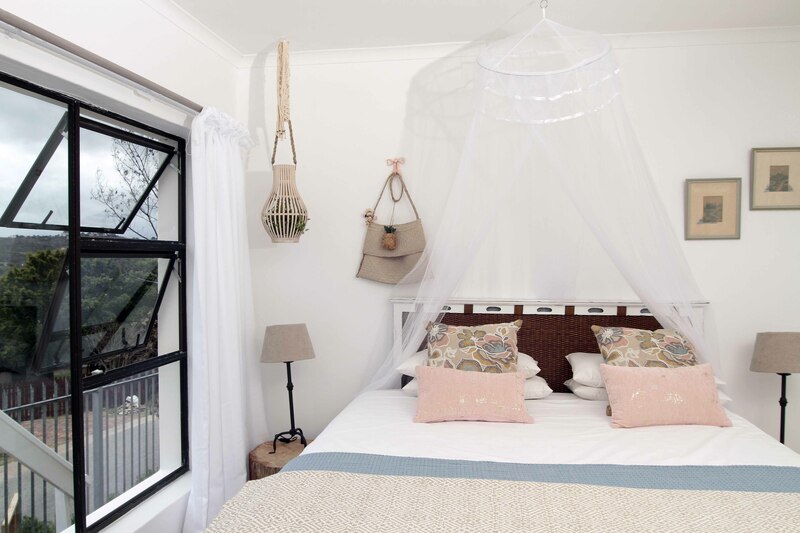 The cottage is less than 5 years old and is tastefully decorated with brand new furnishings including down duvets and 100% cotton percale bedding. 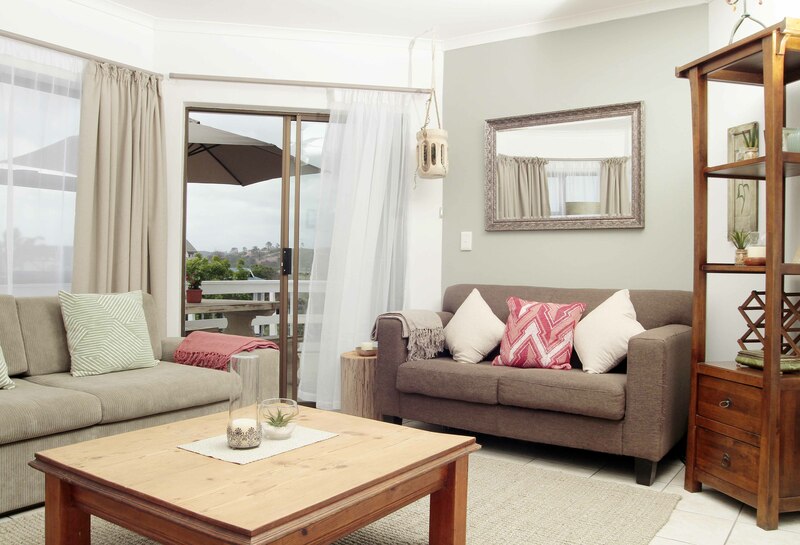 It can easily accommodate up to 6 adults and/or children if the queen sized sofa couch is used in the lounge. The main bedroom has a King size bed, built in cupboards, and a door leading out onto the patio with lovely views of the lagoon and mountains. 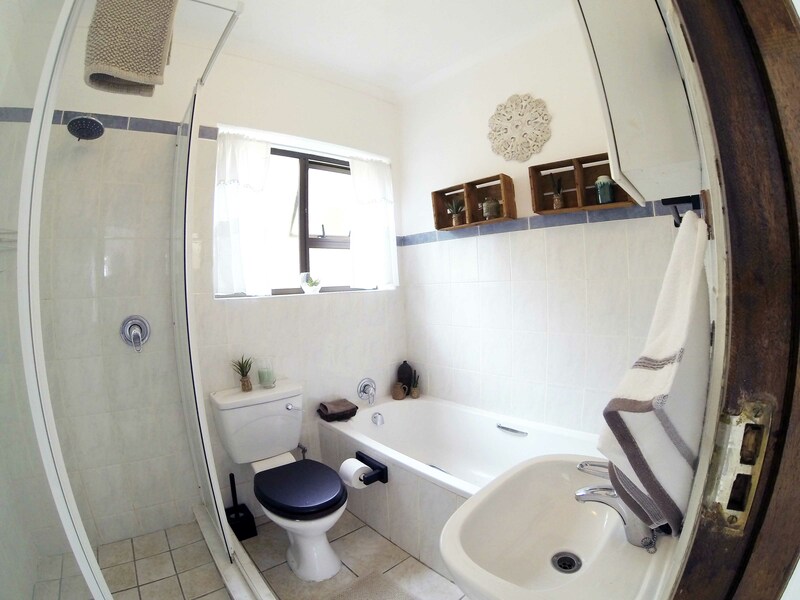 It has a hairdryer, fan as well as a wall heater. 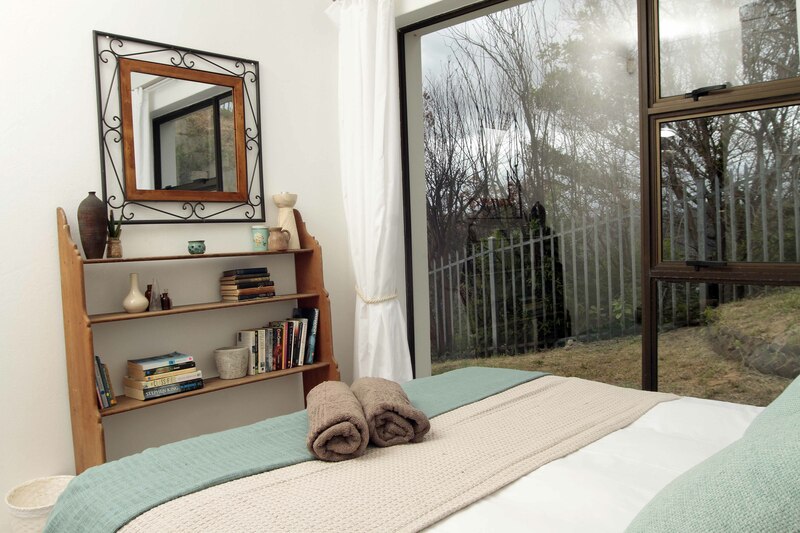 The second bedroom has a queen size bed and built in cupboards. 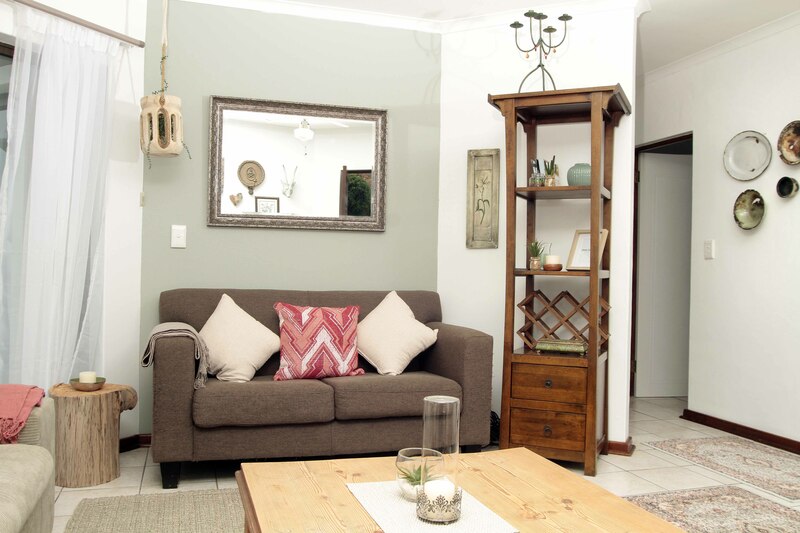 The house has free wifi as well as full DSTV (cable). The house is securely fenced with remote access and is alarmed with 24hr armed response monitoring. 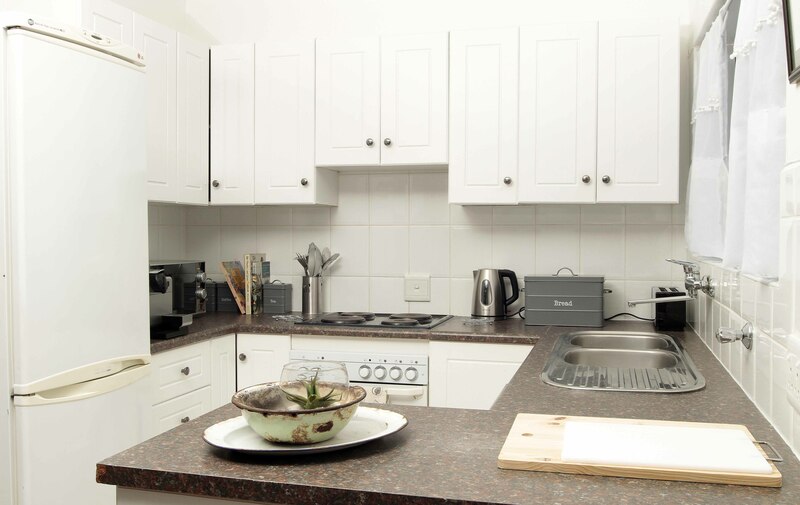 The kitchen is fully equipped for 6 people and has a microwave, stove, oven, fridge, washing machine. The large comfortable lounge has a 42in flat screen tv, wall panel heaters and a queen size sofa bed easily big enough for 2 people. The lounge also has a sliding door out on the patio where the patio furniture can easily accommodate 6 people for meals. 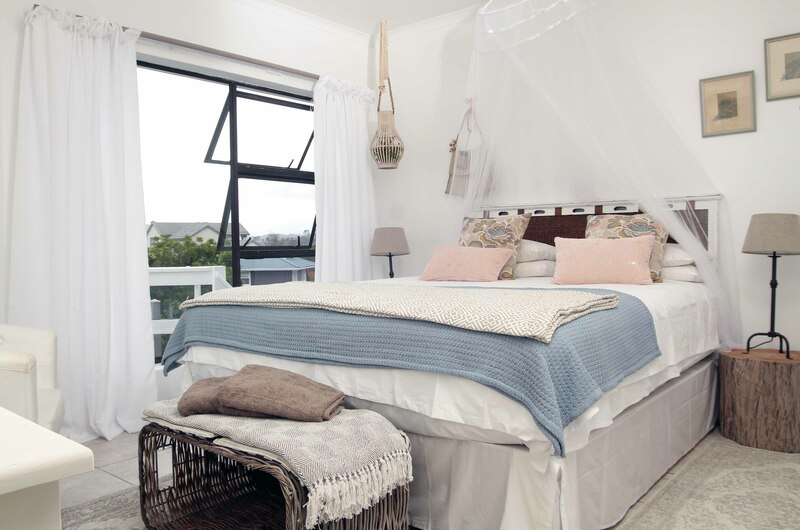 The main house at the top of the property was burnt down in the recent Great Fire of Knysna. The cottage (which is entirely separate to the main house) and the garden were however, fortunately left unscathed. 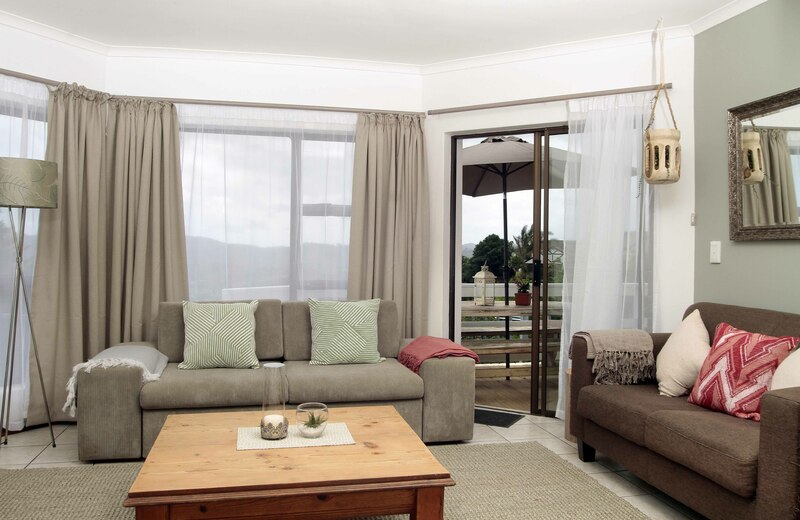 The upmarket area of Knysna Heights is situated at the top of the hill overlooking the town of Knysna, The Heads and the Knysna Lagoon. 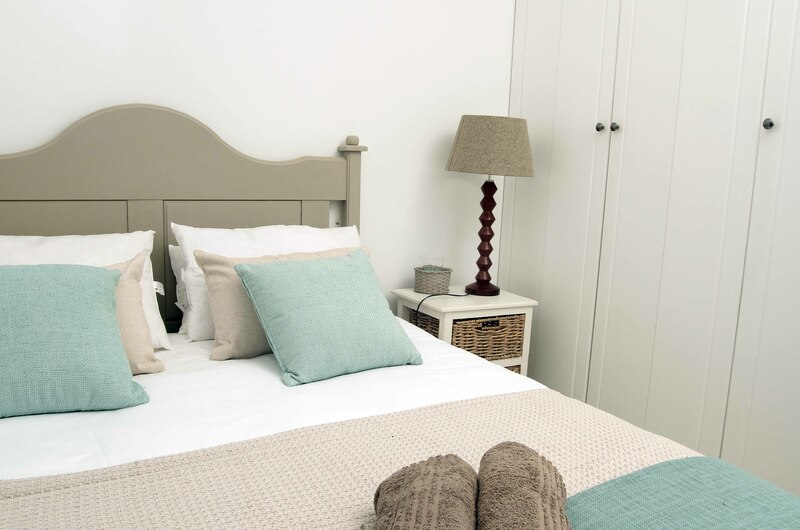 The centre of town is a 2 min drive down the hill where guests will find all standard and /or speciality shops and services one would need. 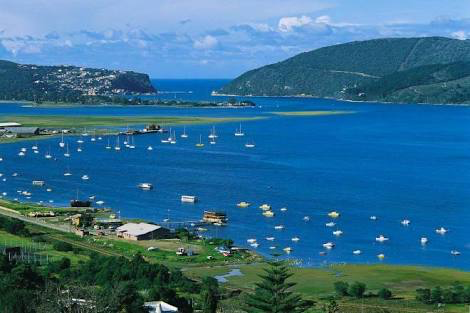 Knysna Central and Lagoon are less than 5 min drive. 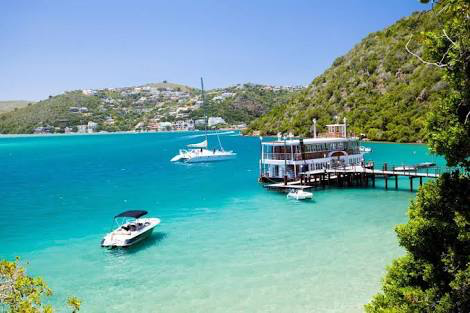 Buffalo bay beach is a beautiful 10 mins drive and is the perfect beach for swimming, surfing, supping and other watersports. Noetzie Castle and beach is 10 minutes away. 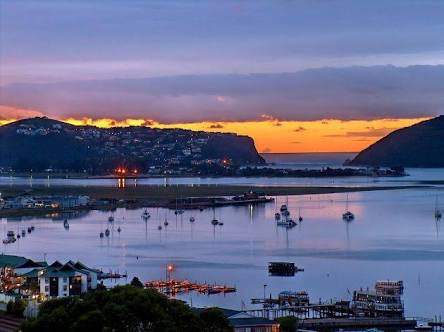 The Knysna Waterfront is 2 mins away where guests have a choice of many award winning themed restaurants as well as access to agents offering tours and every type of activity imaginable. 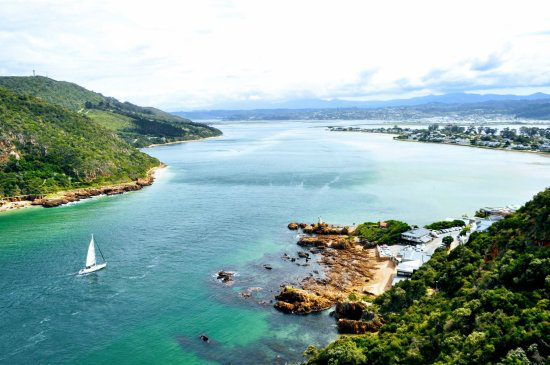 The Knysna Forest offers many guided or unguided tours as well as beautiful MTB tracks and loops. The Garden Route Trail park and pump track is a favourite amongst mountain bikers and bmxers and is a beautiful 15 min drive from Knysna situated in the stunning Barrington farming area.